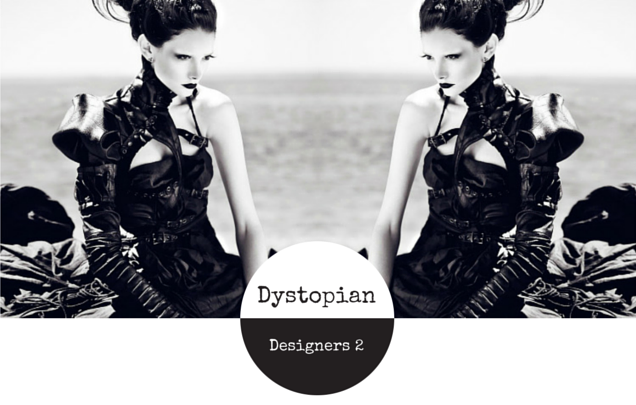 Why am I writing about Dystopian Designers? Recently I became involved with a very cool film project, being a post-apocalyptic or dystopian film in the near but run-down future with outposts under state military control (think Hunger Games). It’s called The Cottonwood Fence. Before filming commenced, I helped style the looks for some of the characters known as the Watchers. (If you’d like to know more, you can read about the character development of the Watchers, or see the Pinterest Board for the Watchers visual inspiration, as I did). 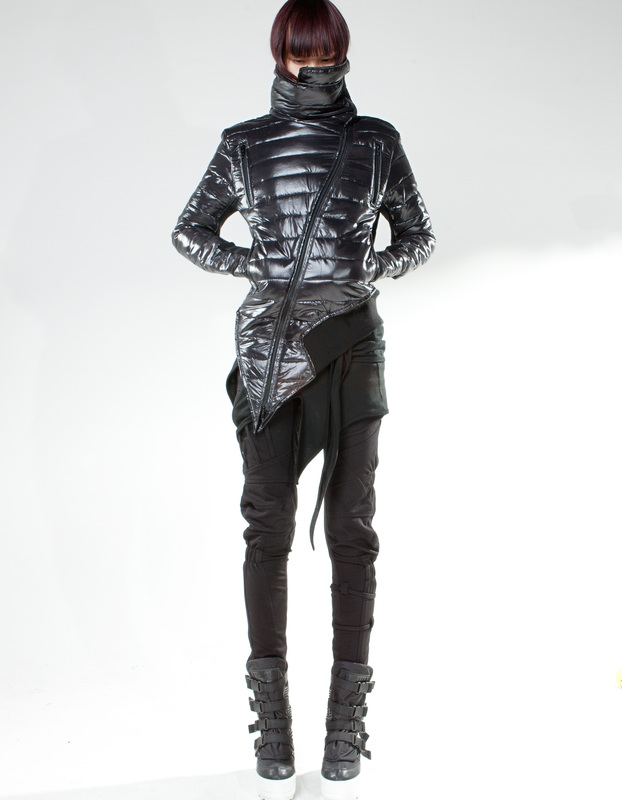 I found myself getting really excited, seeing all the new dystopian clothing that’s popped up the past few years while I wasn’t looking! 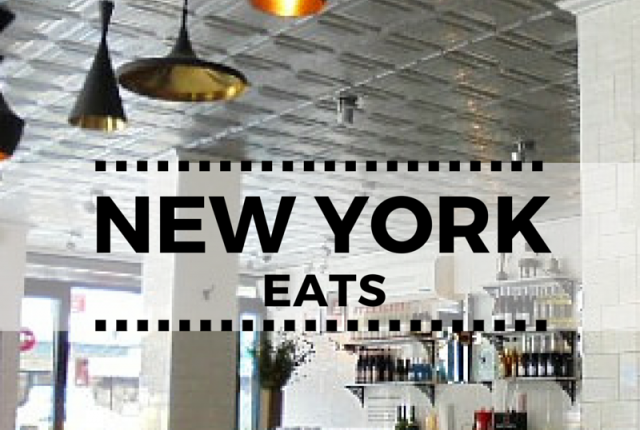 So excited was I, that I created a Pinterest board which you can see in my sidebar lower right. 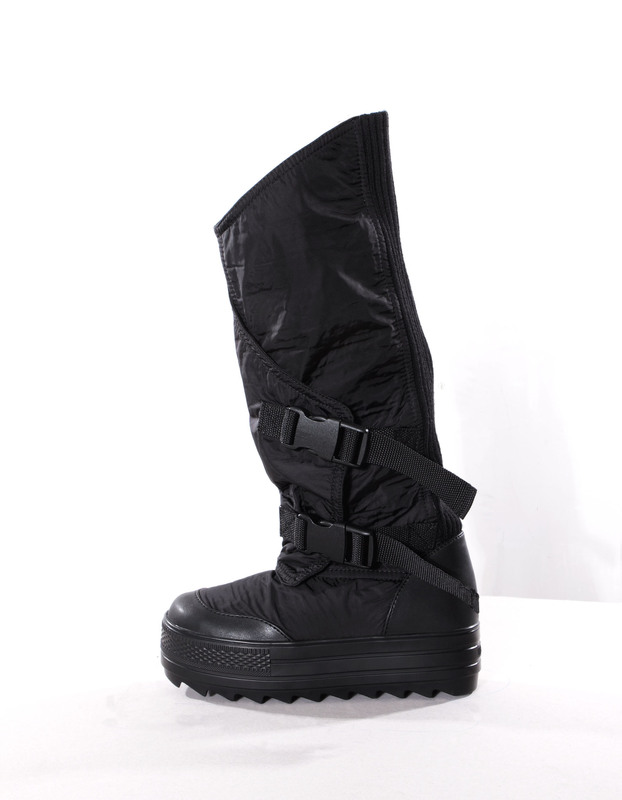 It’s a modern take on the goth aesthetic, and more grown-up than the pvc shininess of the cybergoth style. It is still futuristic, but lived in; more Burning Man than warehouse rave; more Mad Max than Slimelight circa early 2000’s. As with all great fashion, the prices are steep for the best designers’ work…but the artistry is undeniable. 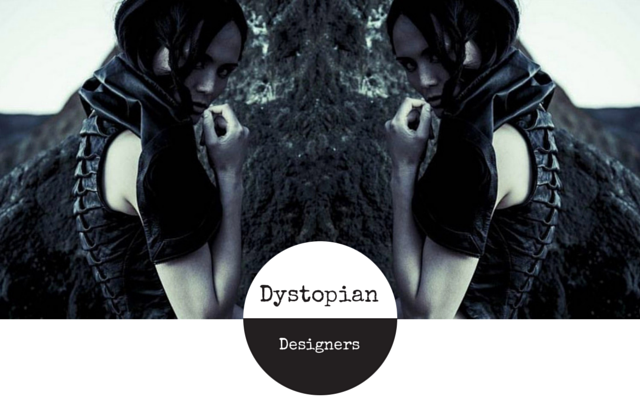 Here are the best Dystopian Designers I’ve seen – what do you think? 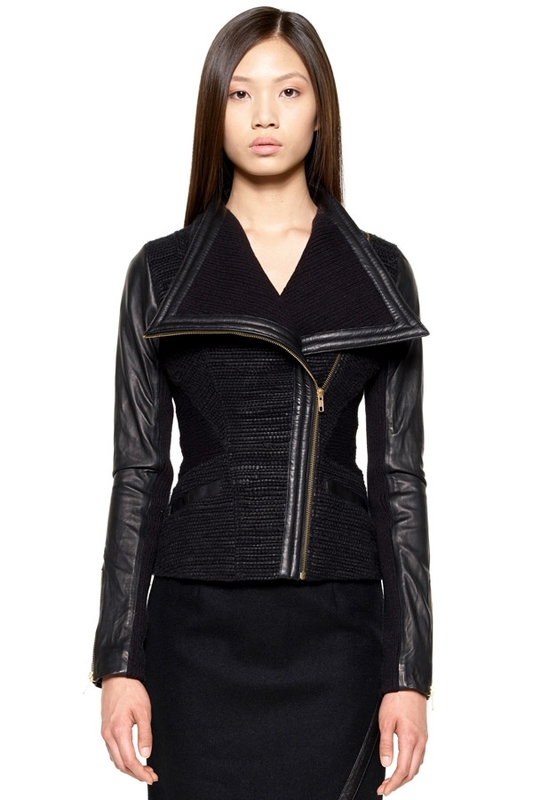 Very rarely do I want EVERYTHING in a designer’s collection. 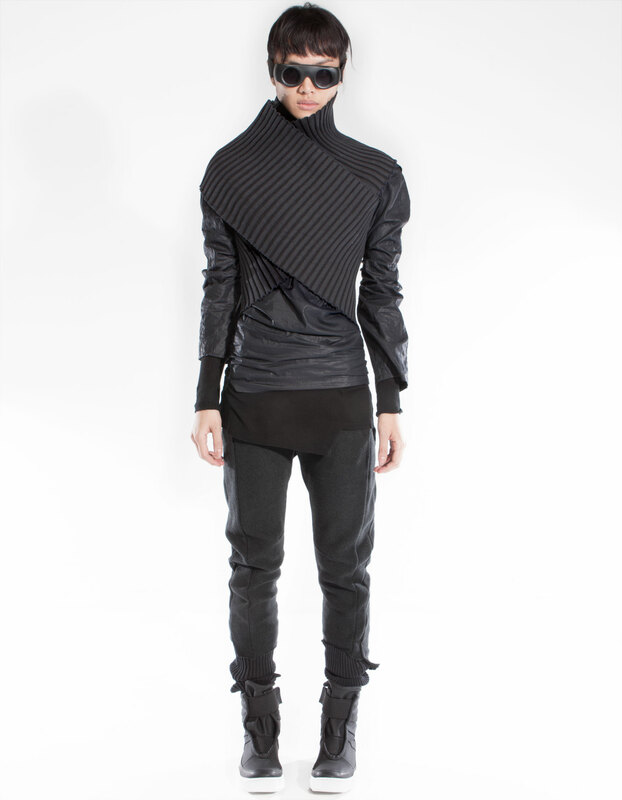 Skingraft is one of those designers. 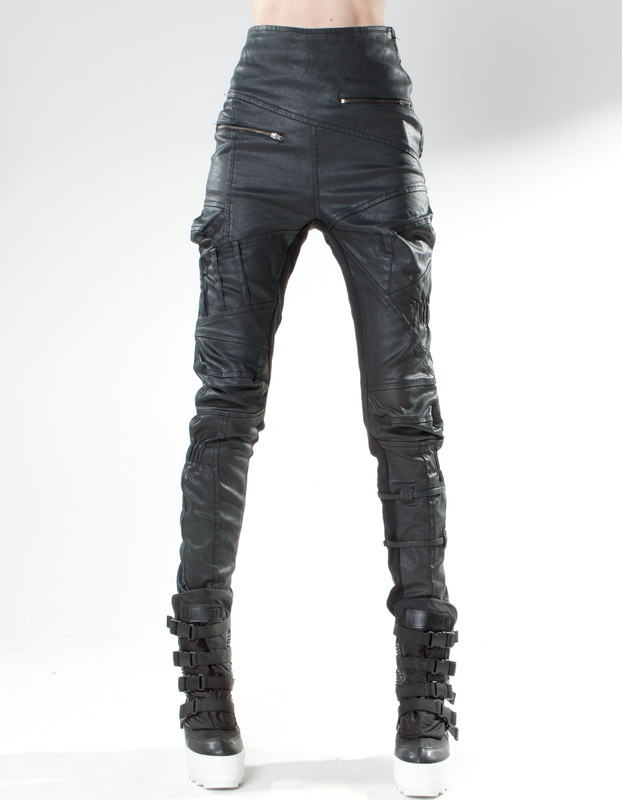 Skingraft began in 2005 as a costume house making custom costumes for performers and artists (think Marilyn Manson, Trent Reznor, Rihanna and Black Eyed Peas). 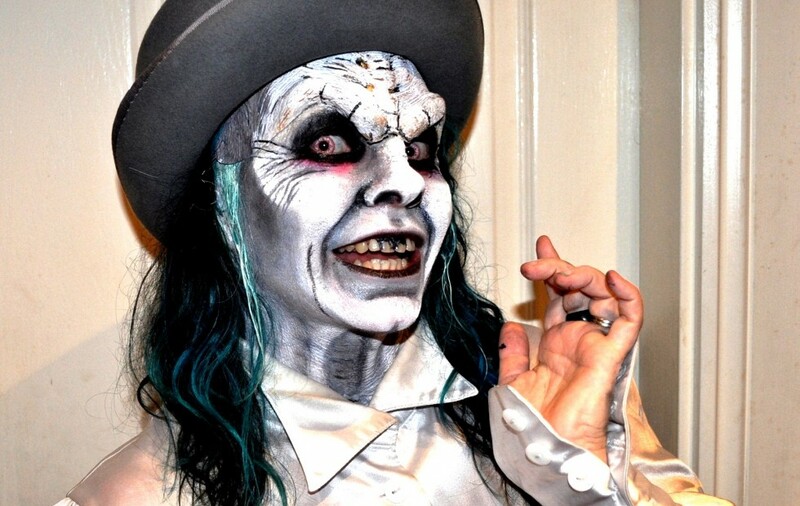 Jonny Cota, Cassidy Haley and Katie Kay were themselves involved in the theatrical, vaudeville, circus scene in downtown LA, and designed looks for themselves and others, before starting their business with one old sewing machine in a bedroom. They mix grunge aesthetics with gothy streetwear and a refined punk rock look, sometimes with a very elegant, regal twist as you can see above and below. Early work showcased voluminous gowns with Victorian jackets embellished, studded, burned, distressed – incredibly artfully designed to a couture level. I remember seeing Allan Amato’s photos of models clad in Skingraft in the amazing alternative magazine Coilhouse, as well as the photo by Brion Topolski (seen first below). These days it’s Jonny and his brother Chris who handle the business, and it’s going from strength to strength, with collections every year from 2011 through to now. (If you have the moolah, you can purchase the AW14 pre-sale). The look has been streamlined and very much leather-focussed, with motocross elements such as padded stitched shoulders to the fore. It’s very attractive to those of us in the dark subculture, who resonate with rock, goth and punk, and indeed Jonny himself is music inspired. 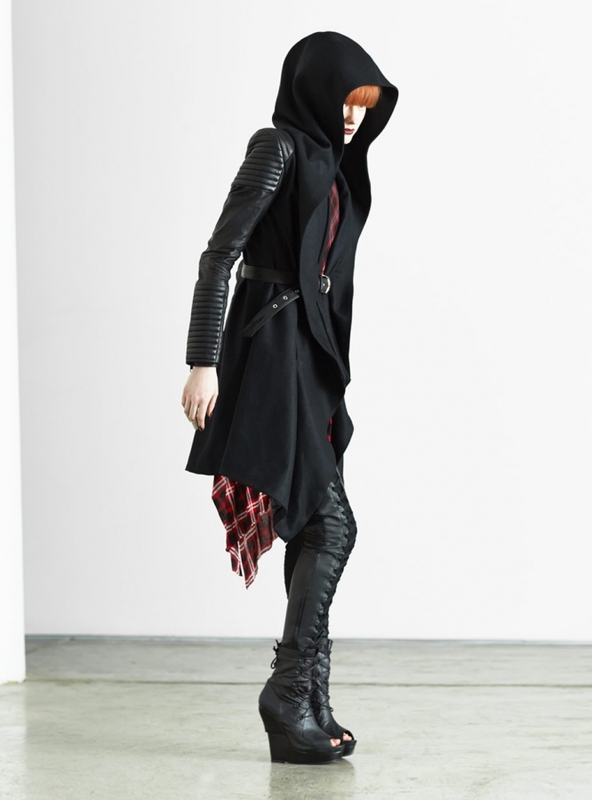 Skingraft—and my entire life, essentially—is heavily inspired by music and the subcultures surrounding it. It feels very gratifying to see fashion-loving musicians and other artists wearing the collection because it creates this cool circle where we are inspired by music and then the products of our inspiration are worn and appreciated by some of the original influencers. 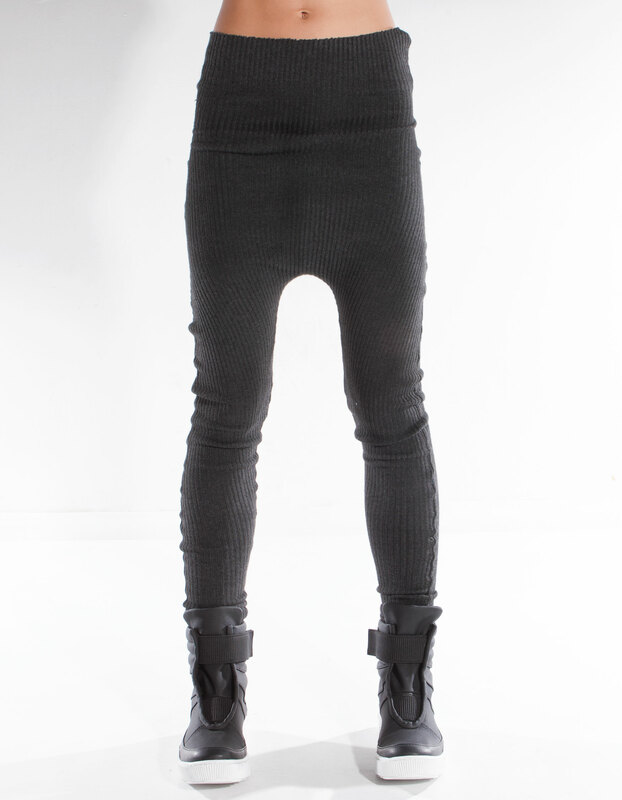 Some of my favourite garments are below…but there are so many, you must go the website and look for yourself! 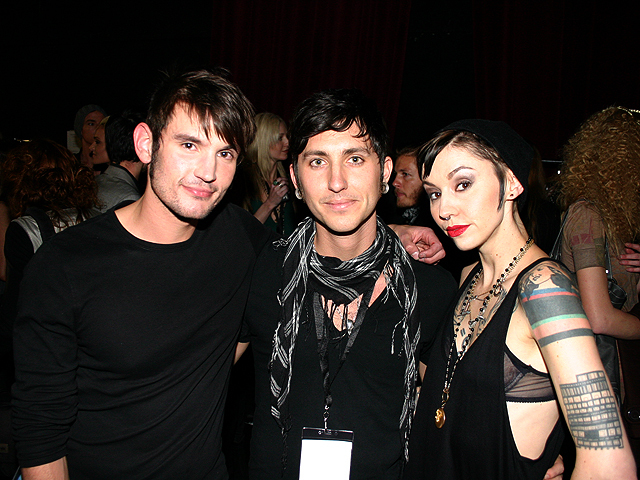 Skingraft opened its first store in LA in 2009, and opened their New York store last year in Nolita. I know where I’m going when I hit those cities!! Current locations are below, although the flagship store in LA is under construction and going to be a doozy, stretching the entire block along 8th Street from Spring St to Main St.
Demobaza is based in Bulgaria, the work of designers Demo and Tono. They describe themselves as “Vegans, party animals, 24/7 hard workers, self drive travellers”. 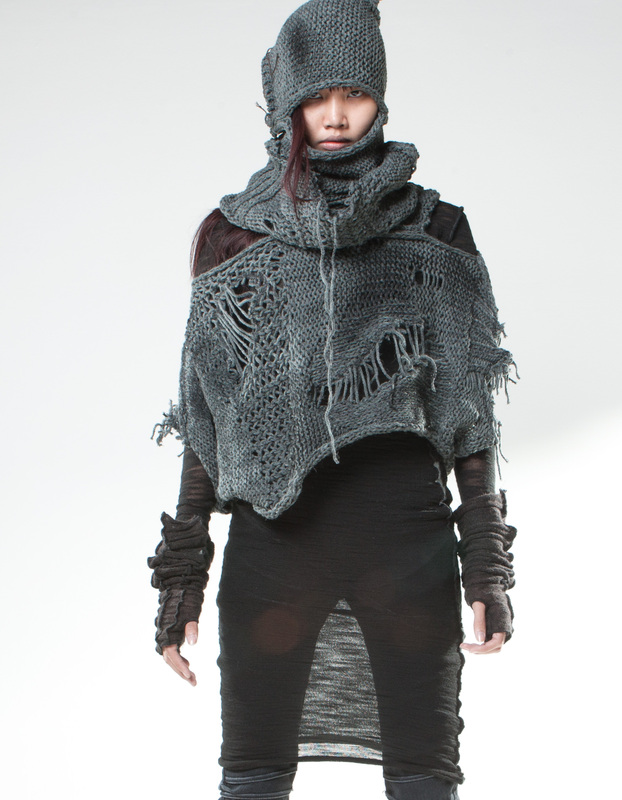 Beginning in 2007, and with collections designed every year since (see the Lookbook), the Demobaza look has evolved to become a fierce, warrior-nomad who has been through the wars…and has come out the other side, battered, tattered, but intact and ready to fight another day. 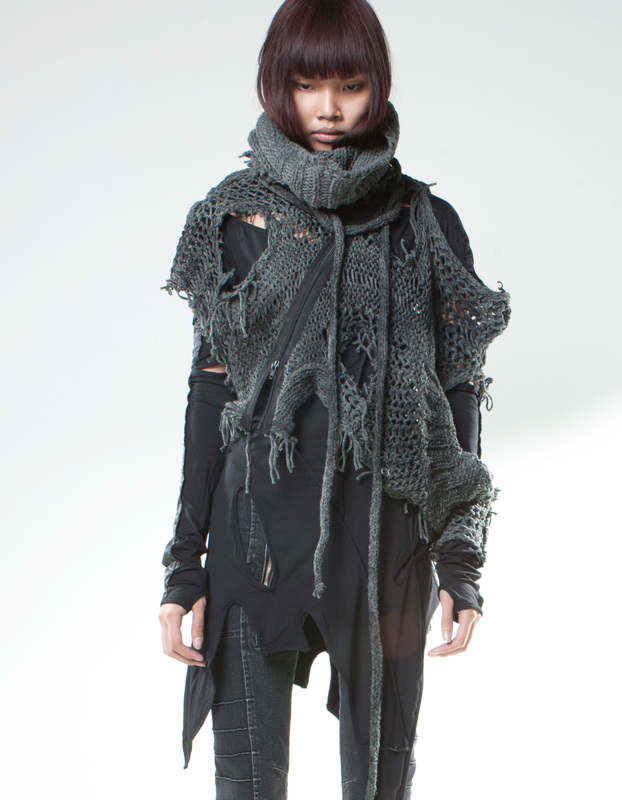 They have shredded, distressed jumpers and ripped, layered dresses that look like they’ve weathered a holocaust. 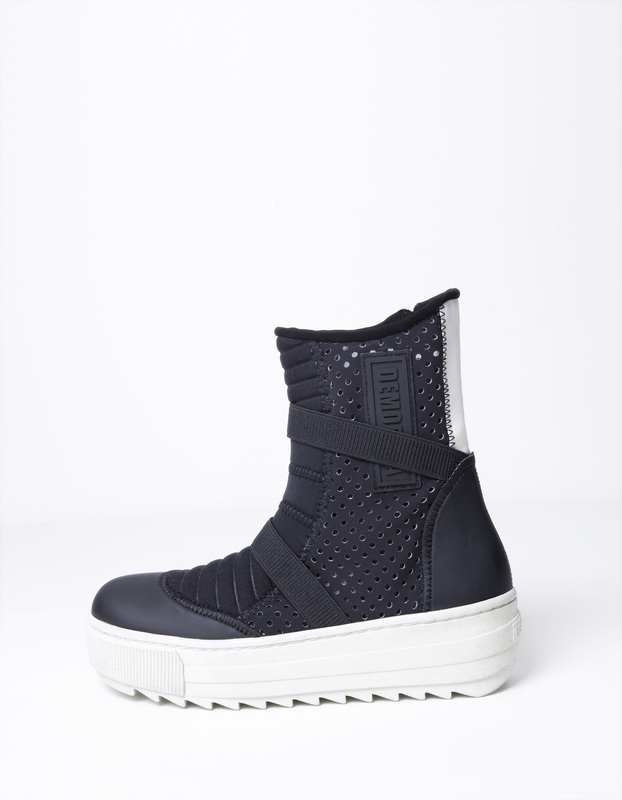 There are neoprene hi-top space boots for traversing the lunar landscape. 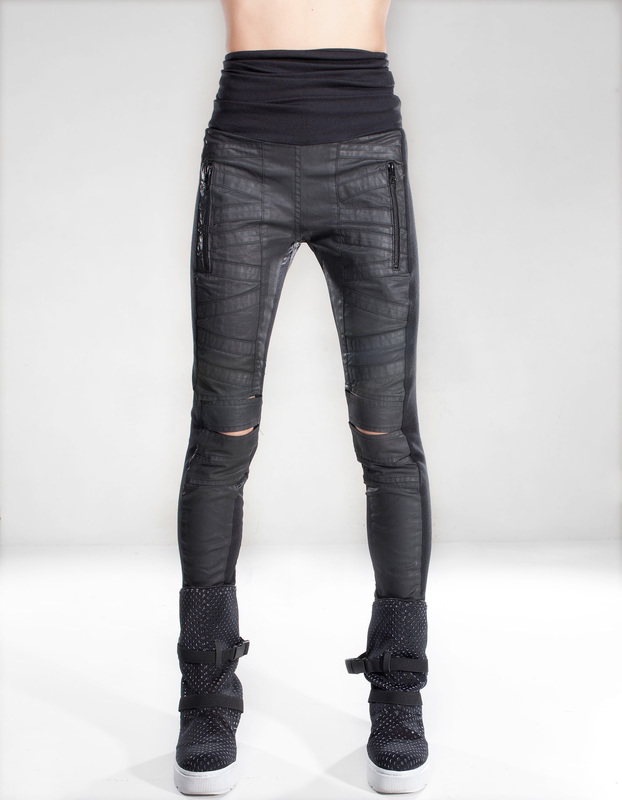 There are also delicate wrinkled mesh leggings or sturdy neoprene zipped leggings with padded moto detailing. 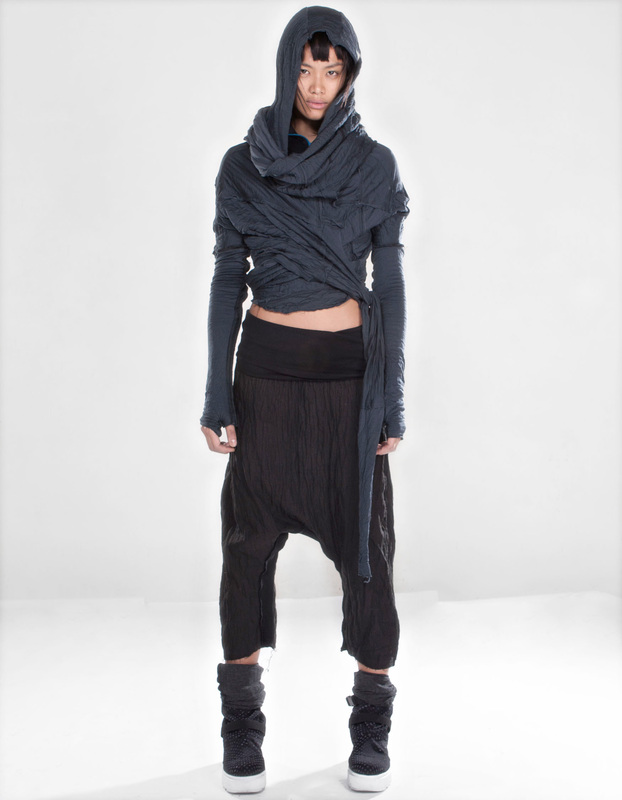 For the most adverse weather conditions, there are jackets and coats, cardigans, cozy woollen wraparound scarves, holsters, sleeves… and everywhere is that ubiquitous dystopian garment, the hoodie. Of course, with the breadth of their work, there is just as much on offer in their menswear sections as there is in the womens. Though I am obsessed with their dishevelled knitwear, there is also a lot of breezy layered items for the warmer weather. Their latest collection for SS15, Message from the Light, very much features lightweight fabrics that are perfect for spring and summer, that we in the southern hemisphere are now hitting. 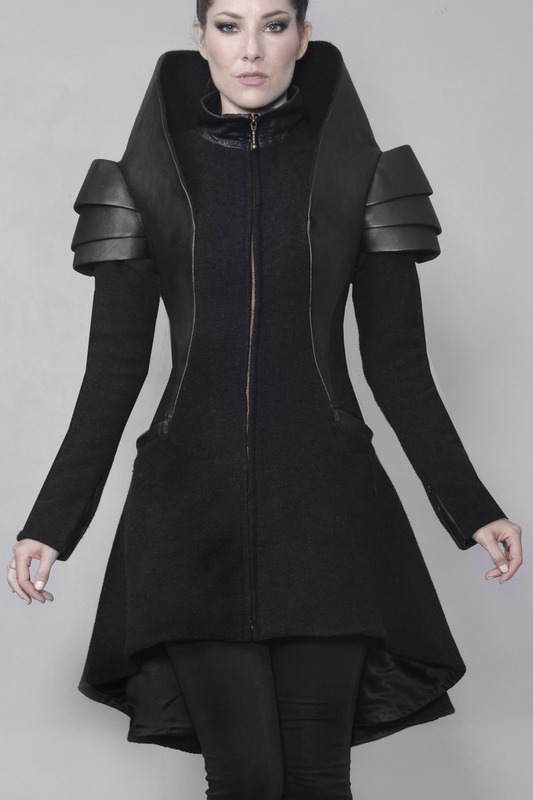 Gelareh Designs also does some of the most exquisite coats I have ever seen. 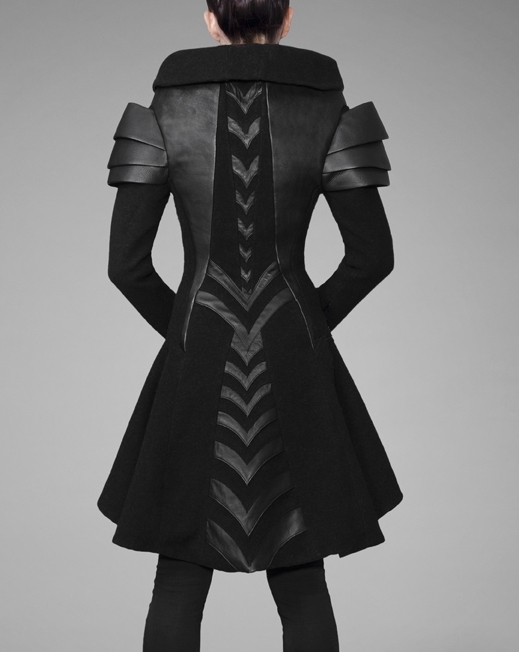 Highly structured, sculptural, precise and fierce, they are almost coats of armour. 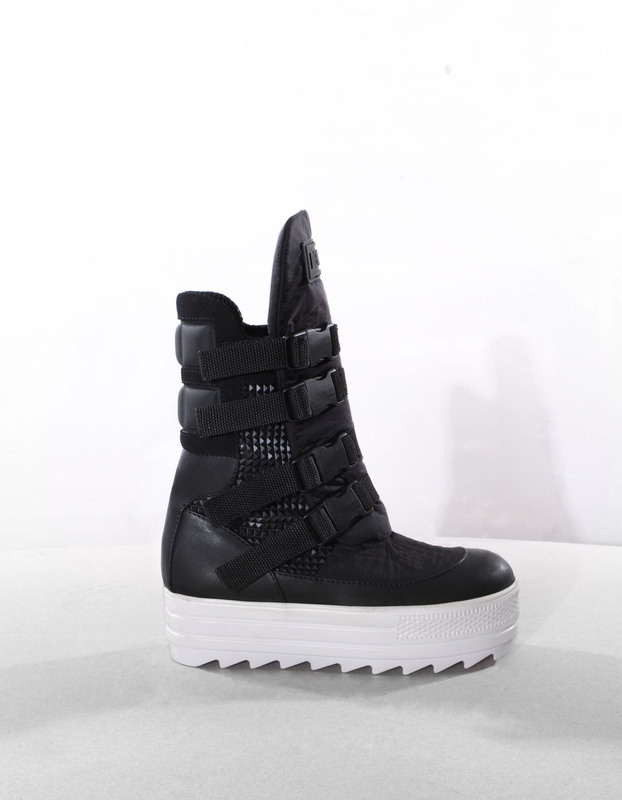 The designer describes it as “warrior chic couture”. Gelareh Alam is originally from Iran, but arrived in San Francisco in 2001. 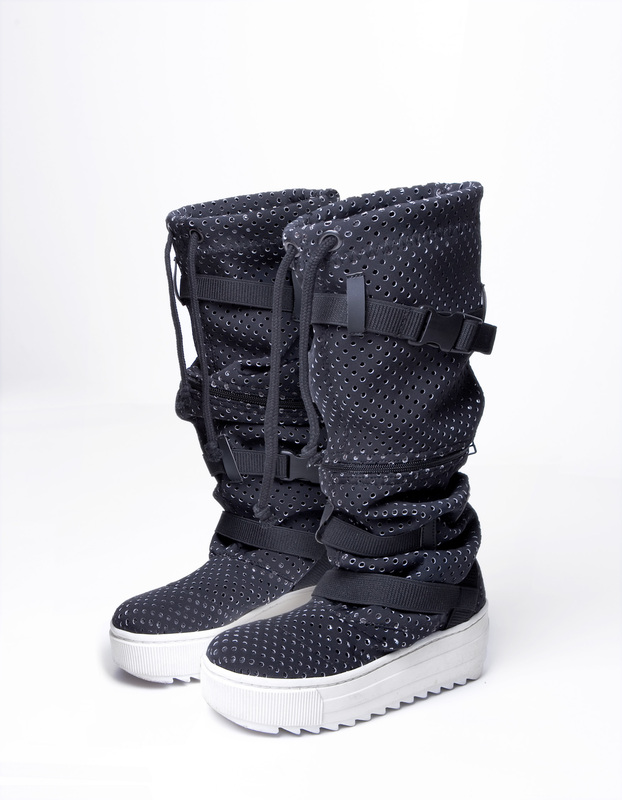 Originally a child psychology graduate, she studied Fashion Design in SF and began production soon after completing her bachelors. The Crocodile is a beautiful hooded wool coat with leather detailing and the most superb crocodile-effect leather folded, layered and sewn down like a spine at the back. 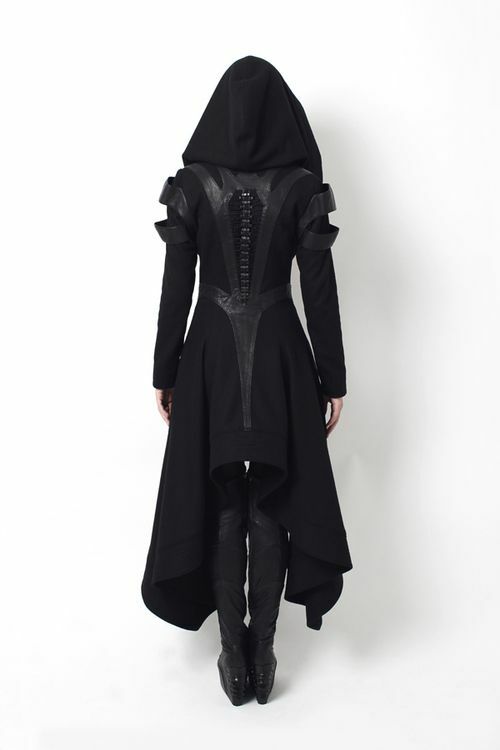 The Palladin Coat is courtly, with upright collar, beautiful down-the-back leather insert details and articulated armour-like shoulders. 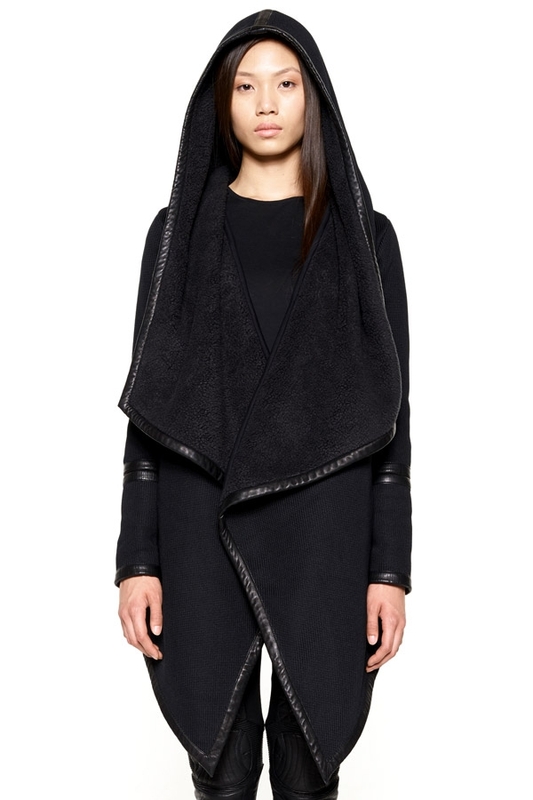 Or you can buy just the shrug if you only have $750 to spend (!!) 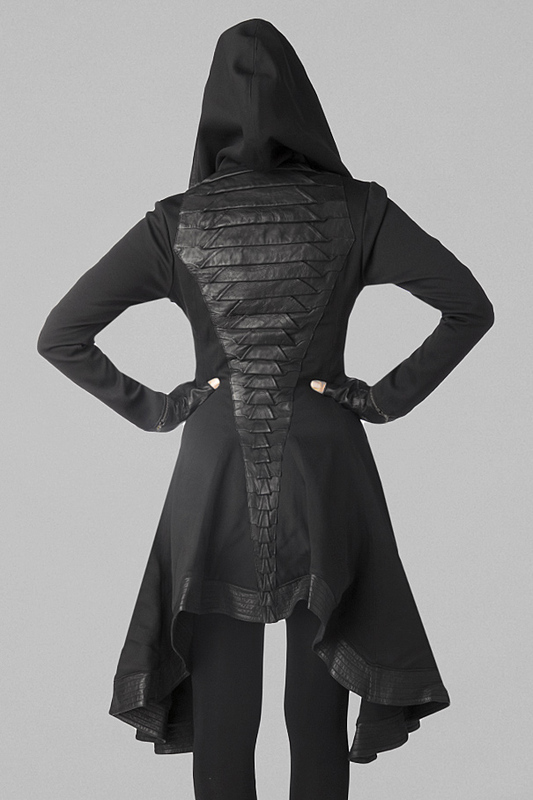 Another coat with an amazing back is the Avant. 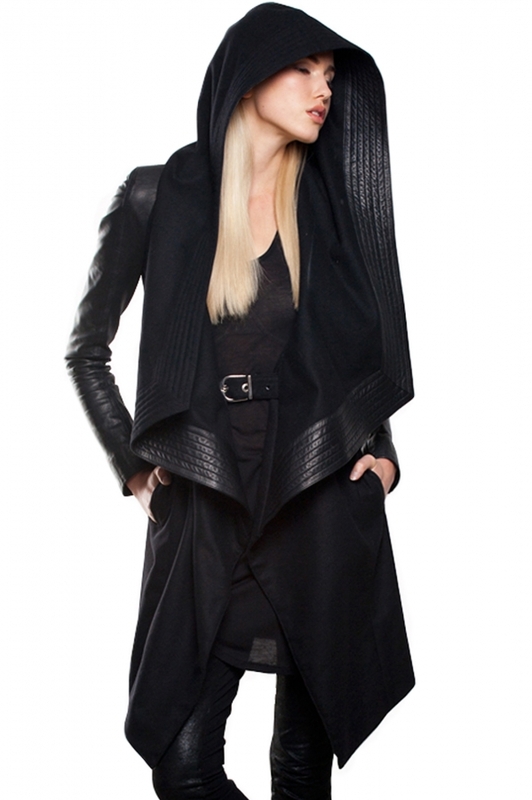 The Torza vest has a bone-like massive collar perfect for any evil queen. 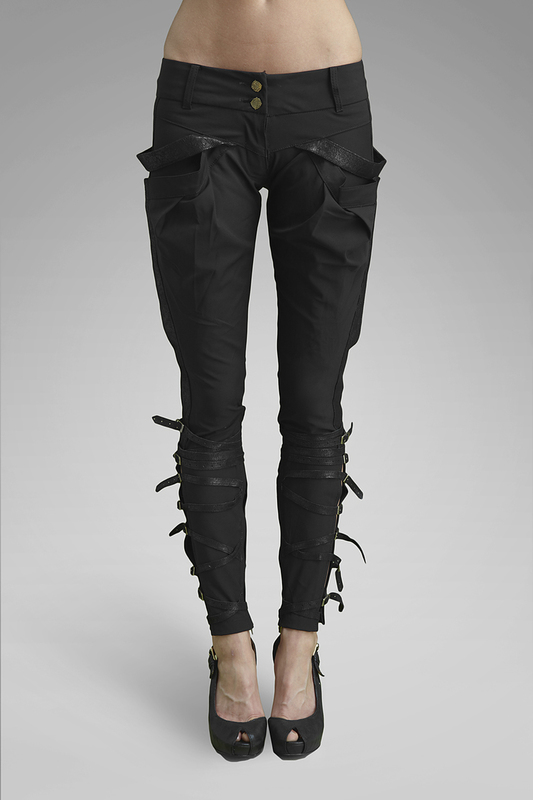 Maybe the catsuit or strapped-and-buckled riding pants are more your bag for getting up to shenanigans in the post-apocalyptic landscape. Which of these pieces is your favourite? 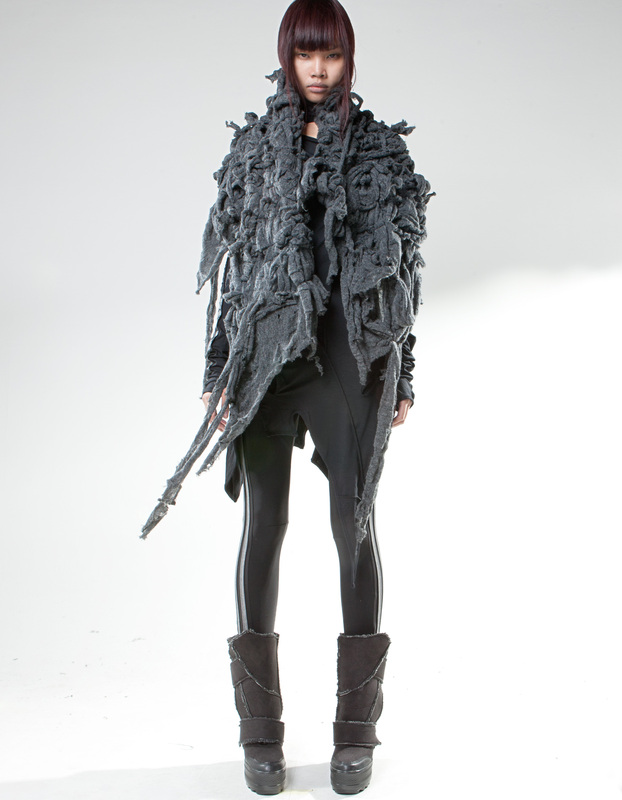 Have you got other post-apoc designer faves to share? 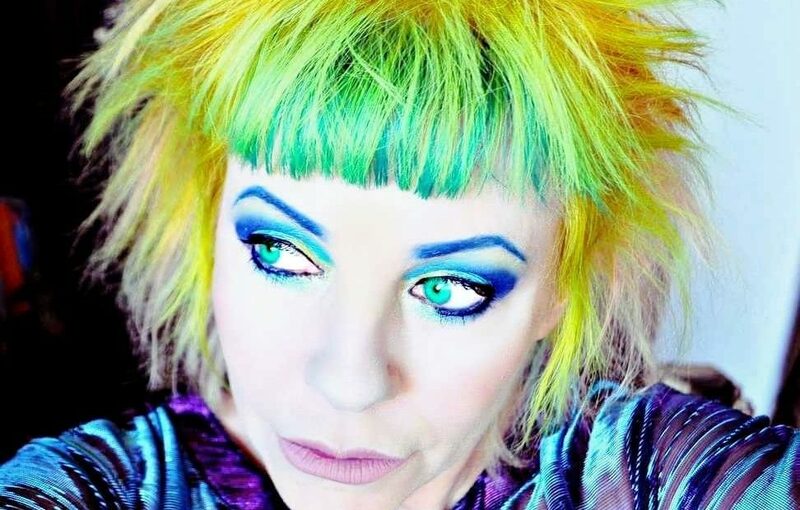 Or are you a DIY Dystopian? 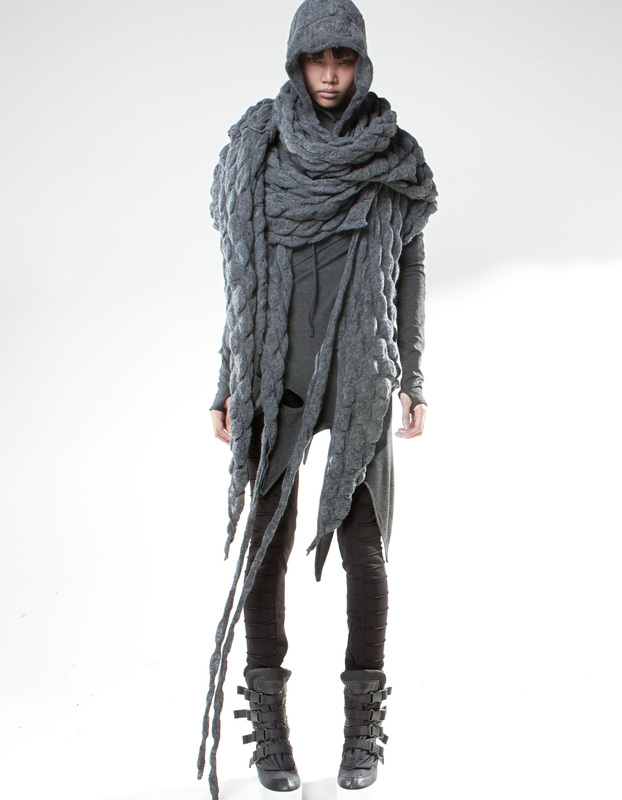 Coming up next in the series: Mother of London, Five and Diamond, and Get the Dystopian Look for Less. This post is awesome. It’s just what I have been looking for. I absolutely agree about Demobaza. I recently discovered them and others through tumblr.